We've got the randoms again today. What, two days in a row? For some reason we just can't shake the Amazon syndrome lately. We've gone crazy listening to music from artists we've never heard before. If you know of a cure to this syndrome, please dial 1-800-EAT AMAZ immediately. I haven't heard much of what I'm writing about. What I did hear I liked. 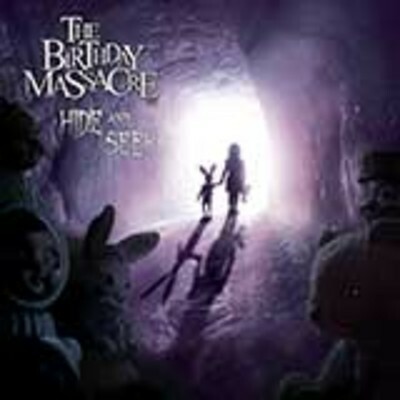 Check out these two tracks from "Hide and Seek." If you are in the mood for some more epic musicianship in the vein of what we talked about in yesterday's post, you are invited to listen to some of Jo Blankenburg's latest music. This music is film-inspired, but not a true soundtrack. She fills in plenty of orchestral goodness with modern sounding percussion remarkably. The album cover was also an eye-catcher (hmm, there seems to be a trend developing here). If you like film music, "Elysium" is for you. Check out a couple of tracks from Blankenburg's new effort below. As always, thanks for reading and enjoy!